We here at Project Sweet Stuff love cake. We eat it gluten free, gilded, ganache covered, au naturale, deconstructed, mini, multi-layered, triple-tiered, fruit-filled...we cannot get enough of it. What we really love about cake, though, is sharing it. No celebration is complete without a cake cutting - be it casual and in the yard, or full of ceremony and centre stage on the first day of matrimony. 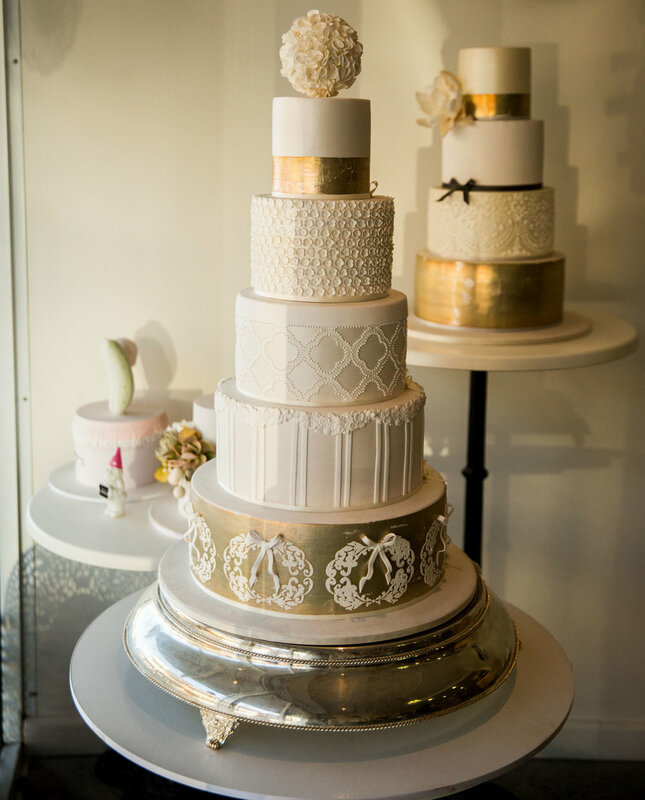 In either case, there is no team who better brings together the key components of stunning, celebratory, cakemanship- art, flavour and a sense of glee, than the team at Faye Cahill Cake Design. My personal all-time favourite is the love-birds design - detailed and opulent while remaining fun and whimsical. 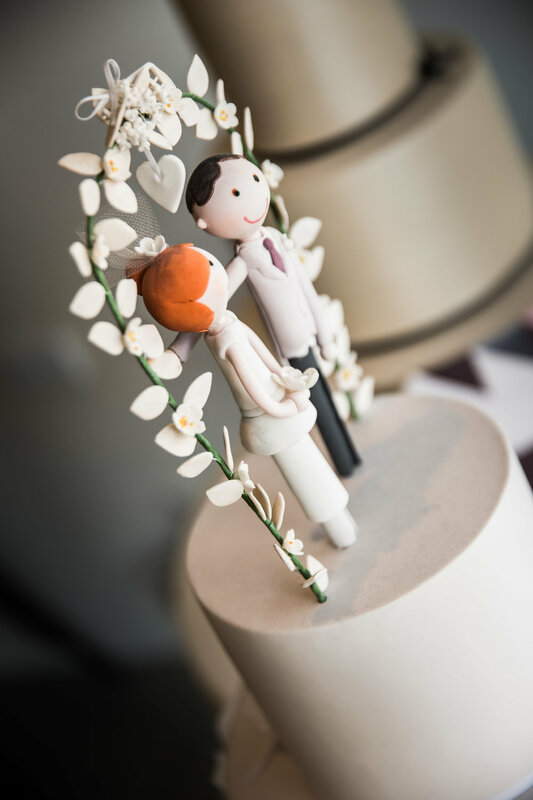 Headed by Faye Cahill, the studio offers a truly unique and personal service specialising in wedding cakes, as well as cake design and finishing classes for the budding decorator. We talk inspiration, skill, loves and loathes with the incredibly talented Faye Cahill. You have incredible artistic talent. Tell us about how it developed? Thank you! That’s a huge compliment! I was very shy growing up and spent a lot of time drawing and creating artwork. Developing those skills gave me something to feel a bit more confident in myself. You have a history in Art, right? Yes, I grew up in the country and after school, moved to Sydney to complete an art degree at Cofa. What are the pros and cons of working in the bridal industry? Pros: I am working with couples at a very happy time in their lives. They are usually excited to be planning a wedding and value those that will contribute to their day. It's a great community of talented and hard-working professionals. Clients have a bigger budget to spend on a cake than other event types. There are more opportunities to work with colour and design than for example a themed birthday cake. Cons: Clients can be very particular and a small minority will make excessive demands on your time. Because our handmade product takes a long time and is expensive, some people have the perception that we are overcharging. The deadlines are very fixed and the end of the week can get a little stressed and hectic. Sometimes I can work some unfriendly hours! You have been teaching technical cake classes for some time now, how did that come about? It's really just a response to many requests from people wishing to learn cake decorating. Many of the students that come in are former corporate and office workers, looking for a creative outlet or career change. We also see a lot of new mums who want something they can do from home. The whole "crafting" movement has increased the interest in learning cake art. You seem to be generous with your talent and techniques by educating bakers and cake decorators, how do you balance being an educator with protecting your business? I've recognised over time that there will always be a place for those of us offering a quality product and service. I've always operated in a competitive market and I try to stay ahead by continuing to innovate, introduce new ideas and keep up with trends. How would you describe your decorating style? Definitely soft and feminine. I use a lot of texture and detail, but still keep a clean and tailored overall look. We try to keep everything looking light and fresh. There is an emphasis on beautiful finishes and we are known for our beautiful stylised sugar flowers. How much of your personal taste and style do you bring to the table when designing cake concepts? I am lucky that many of the clients that see us are already attracted to my style through seeing our work online and at real weddings. Often it's very easy to design something that I know that both myself and the client will love and will fit in their wedding styling. On the less common occasions that a client will like designs that are not my personal taste, I'm usually still confident that we can do a nice job and give them something they will love. Cake decorating vs cake eating. Which wins for you? Eating. Everytime. Your studio is in Marrickville- if you were to send me on an errand to pick up lunch, to which local joint would I be heading and what would I be asking for? I can't go past a banh mi from Marrickville Pork Roll. An incredible punch of flavour and only $4.50. No wonder there is always a queue! Party people already have the Christmas and New Year holidays in sight: what is your foolproof crowd pleaser over the holidays? I'm a huge fan of summer fruits and I make a super easy fruit jelly by poaching a mix of fruit lightly in apple juice. A squeeze of lemon and a little gelatine and then refrigerate till set. Add alcohol for a more "grown up" version. Visit tomorrow to catch up with some of the amazing team at Faye Cahill Cake Design!